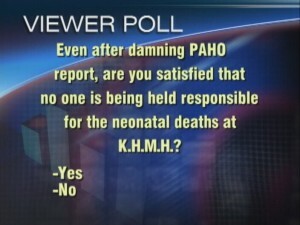 Home » Commentary, Featured » Are you satisfied that no one is yet held responsible for K.H.M.H. neonatal deaths? 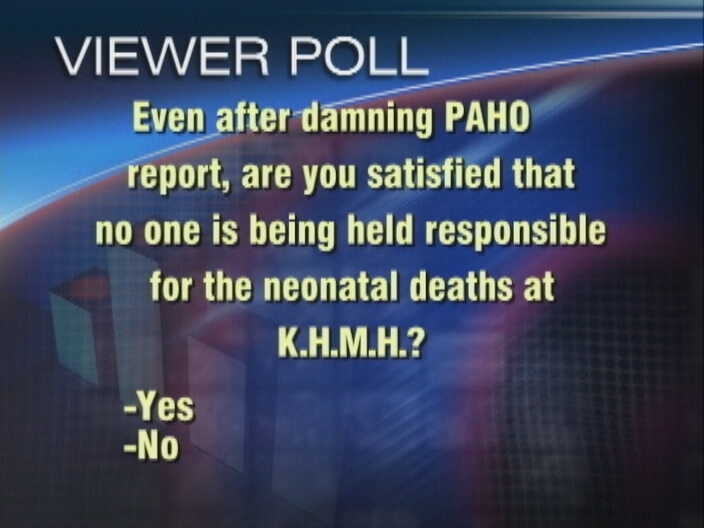 And our question for tonight is: Even after the damning PAHO report, are you satisfied that no one is yet being held responsible for the neonatal deaths at the K.H.M.H.? Yes or no. Send your comments and responses using your SMART phones to 8686 or post your vote on our e-poll at channel5belize.com. You can also send an email with your comments to questions@channel5belize.com.